Last Wednesday my big sis took me out for shopping and lunch as a b-day gift. 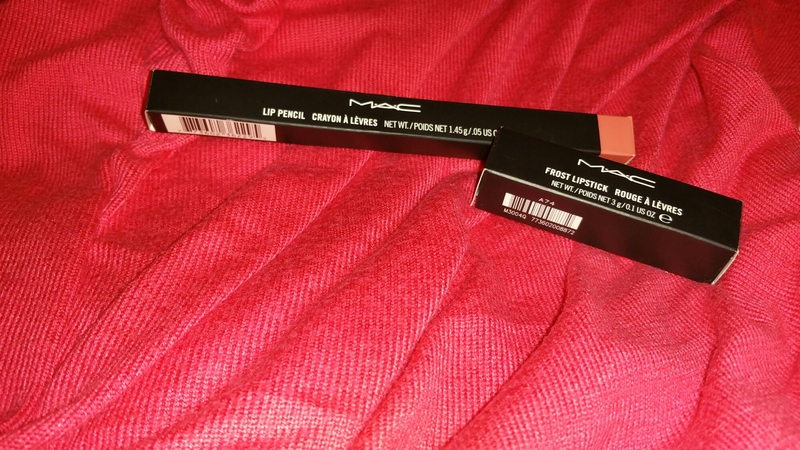 Also she let me pick two items from the MAC counter in Douglas 😍. Hurrah for MAC. 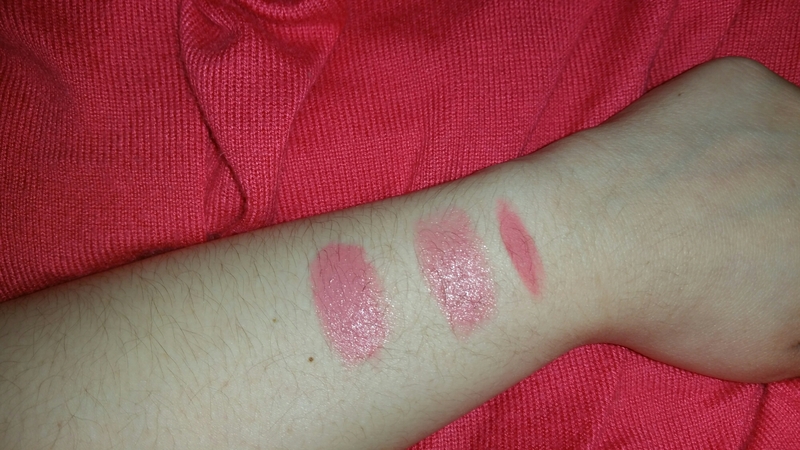 Even my sis picked up a new lippie. So let me go back in time and describe to you this delightful day or as Barney Stinson from how I met your mother would say dee- ( pause from drama) lightful. We planned to meet up at 13:00 hours,but whoops was late (sorry sis). In the end we met up at 13:45 as the train and bus connections worked out. Maybe it helped a little that the train was delayed for 5 minutes. We started out to go too Douglas a big retailer for highend makeup in The Netherlands and Germany. So like I mentioned before we started out at Douglas at the MAC counter. We were helped by a lovely lady and I already knew I wanted to have the Angel lipstick. 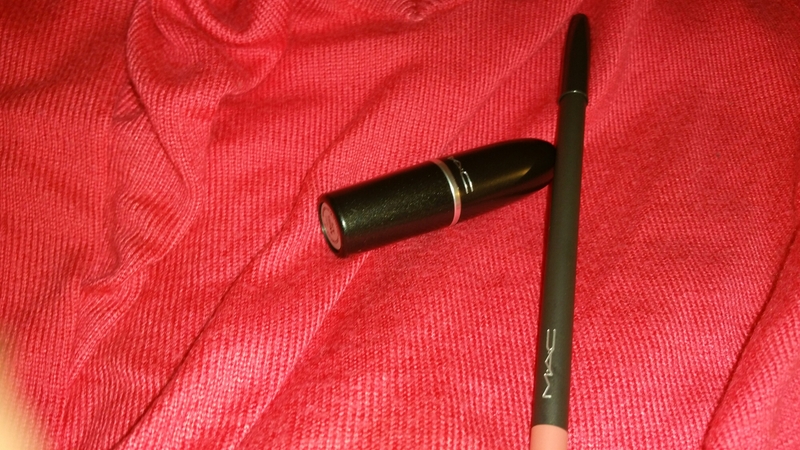 To go with this lipstick I also got my very first MAC lip liner in Rosy Rim. 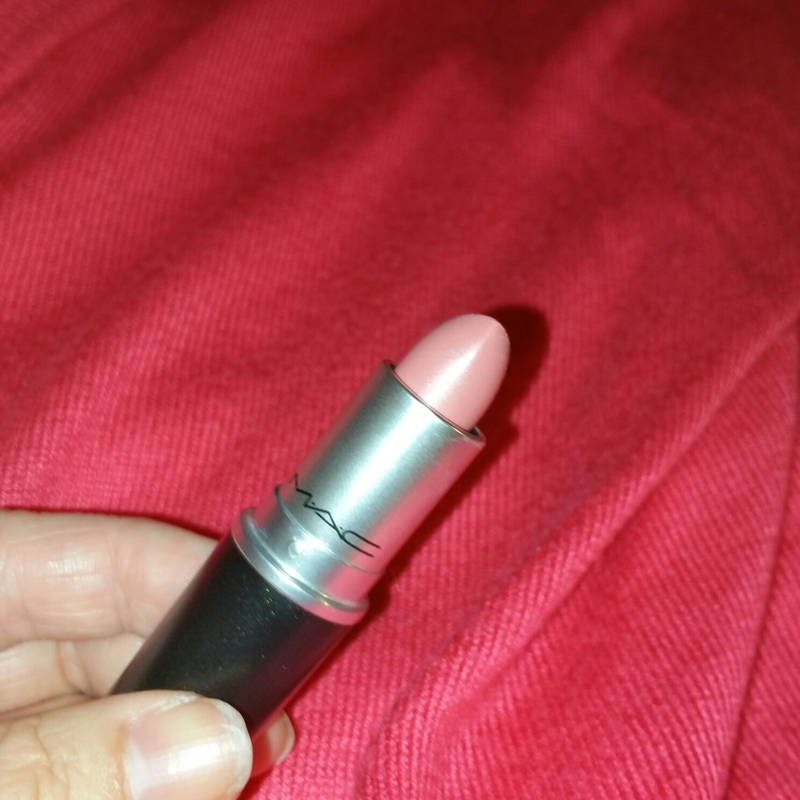 My sis bought the lipstick Velvet Teddy, a lipstick which is on my wish list too. After this we decided to have some lunch. We were planning not to go too Bagels and Beans but in the end we went there because their coffee and food is delicious. A home made mixed Juice and a chai latte made with Soy Milk. I love their chai. Yum yum. 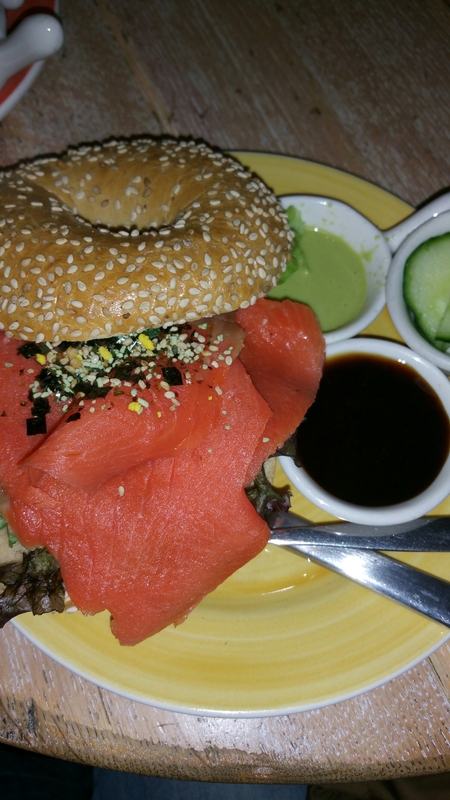 Lunch was delicious as usual but next time I will opt for my precious Bagel with goat cheese and honey or their Japanese Salmon bagel. Check out the picture below. After lunch we went to do some groceries for dinner (Fried Rice and Charsiu) Before we went to my sis house I did manage to visit another highend and drugstore stores. I purchased brow gels/fillers to compare with my L’Oreal brow plumper. I opted for a brow gel from Essence and Gosh. When I came home and tested this on my sis The first results where really disappointing and one of the brow gels gave my sister an itch. So I will get back too you on this matter. Before and during dinner we watched some films and series which was very cozy. All I can say I had an awesome day. Hope you enjoyed this post if you did please like this blog and remember you can now follow me via Bloglovin. Thank you so much. Turned a lovely 28. Thank you for following me on Bloglovin. Your welcome☺! Thanks for following me too☺!